Whether you want to enhance the concepts of team work and personal challenge in your workforce, reward your staff for their contributions, or promote congenial relationships to enhance productivity, we can provide an exciting, fun-filled session that is sure to revitalize and energize all participants. Looking for something new to do with your social or family groups? 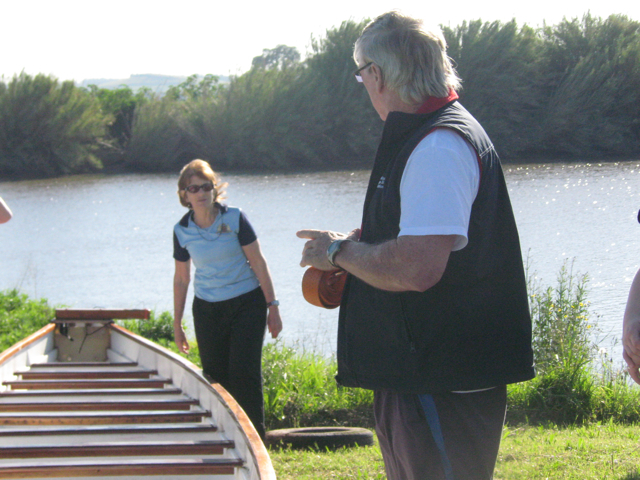 Why not try a morning or afternoon paddling session in a dragon boat. Just get together with 16 ? 20 family and friends and give us a call. For other team sports codes dragon boating offers a unique, fun activity to consolidate team relationships and reinforce the need to work together to achieve the ultimate goal, while engaging in a good cardio workout. All time slots available. For 12 - 18 year olds. Gather 16 or more friends and give us a call to organise a 90 minute or 3 hour session of fun fitness activities on the water. To see our ad in 'What's On In Our Backyard' magazine, click on September program. 2 local high schools participated in our school sports programs during Term 1, 2012. Information packages were distributed to most high schools within traveling distance of our location last year. Contact us now for more information.